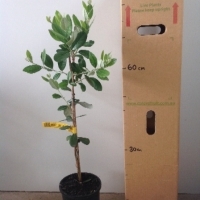 Australian selection from Victoria, excellent size up to 200gm. Very pleasant non-gritty flavour. Has proven to be a good commercial variety. 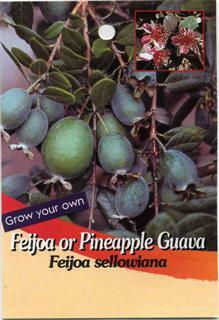 Feijoas are highly ornamental with beautiful red flowers followed by delicious autumn fruit. 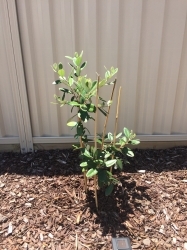 All Feijoas are very easy to keep small via pruning and is only going to grow to 2m in a pot anyway (4m in the ground) and could be kept much smaller than this by pruning which will also make it nice and bushy. 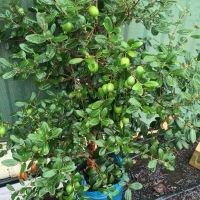 If this is a plant that you really like then I would pay the money to get a grafted variety like Duffy over the cheaper seedling #FeijoaDuffy1032 this way you are going to get fruit much quicker and the fruit size, taste and crop comes from the duffy variety which is known to be large and taste great and also crop well. 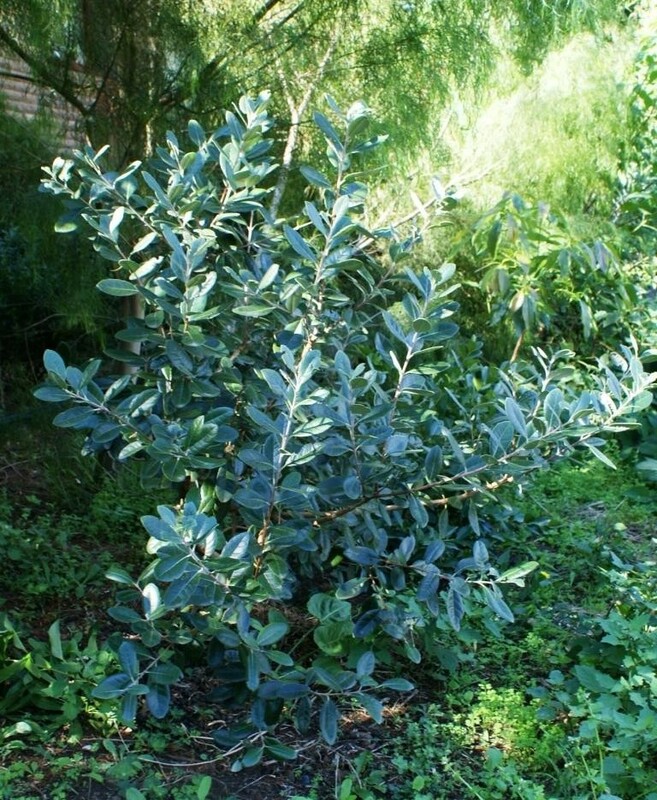 A seedling is more of a gamble with what you get, takes a bit longer to fruit however benefit of a seedling is they can be more hardy. You will get a bigger crop from having 2 through cross pollination but they should set fruit by themselves. Has produced lovely sweet egg-sized fruit two years in succession. Purchased from Daleys. 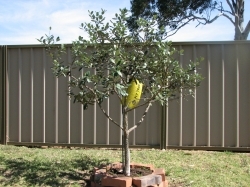 August 2009: Pruned the tree. 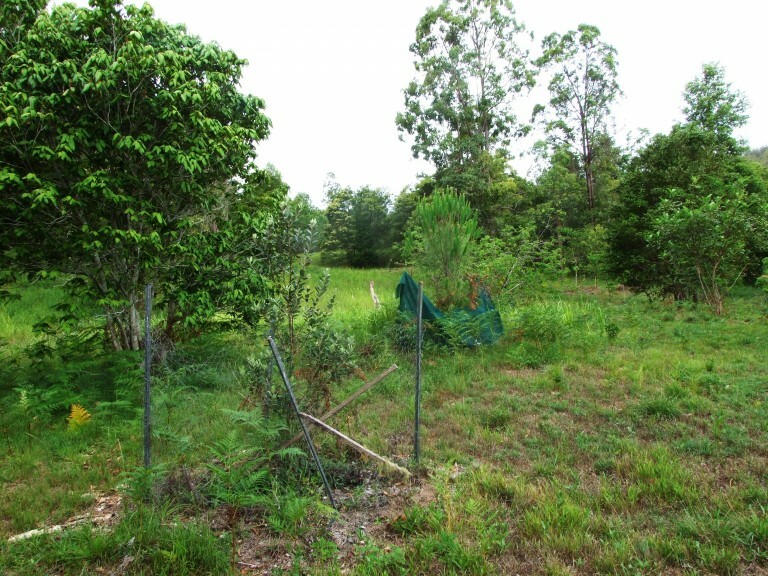 September 2009: No flowering activity recorded. Applied sulphate of potash and watered in. Introduced fly trap. October 2009: Lots of flowers observed. 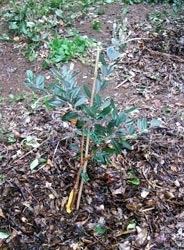 November 2009: Tiny fruit have appeared. 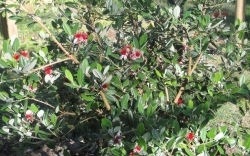 December 2009 to March 2010: The tiny fruits have dropped, new flowers have formed and there are some fruit on the tree. 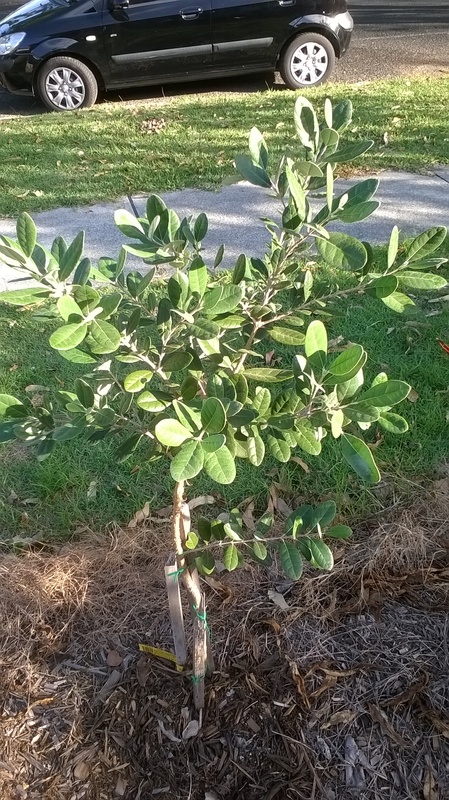 Comments: - May 2014: My Duffy Feijoa was planted early November with a Mammoth Feijoa next to it. The Duffy was purchased from Daley's and it was received in great condition. It has taken some months to establish itself and does enjoy a little fertiliser here and there. It isn't watered often, though would probably prefer a good drink weekly. It is well mulched and in full sun. Easy to care for , beautiful flowers, lovely colour foliage & yummy fruit for not much effort. Squish aphids in Spring & put fruit fly baits out. Comments: - Delicious fruit. 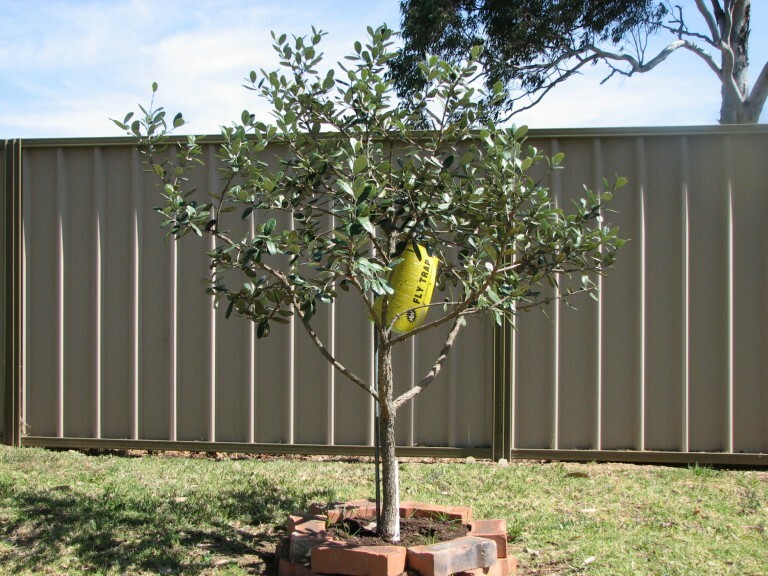 Growing this tree in Katoomba. Essential to water during fruiting to avoid fruit drop. 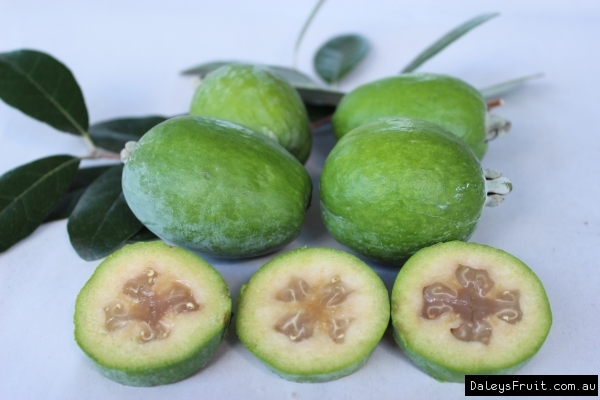 Comments: - I love feijoa coz they are yummy. 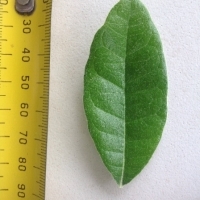 Comments: - It's fruiting for the second time, last years's fruit were fairly small but nice. Just brought, Hanging out to taste the fruit! Planted one of these 2 weeks ago and it is looking well.